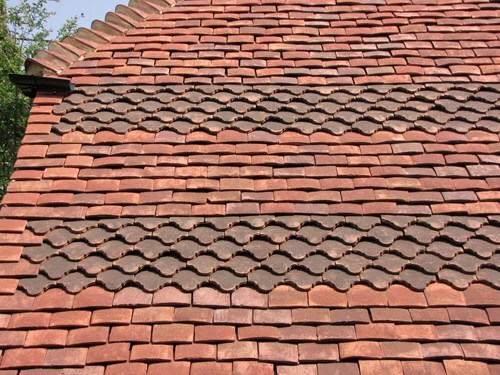 Tudor Roof Tiles on the Guild of Master Craftsmen website. Tudor Roof Tiles are proud to be members of the Guild of Master Craftsmen – in recognition of the skills of our hand-making staff. 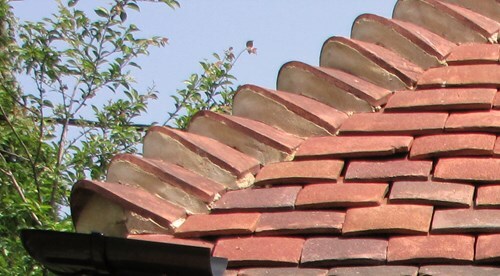 Tudor Roof Tiles are well known by architects and listed building advisors for the bespoke size and shape service. 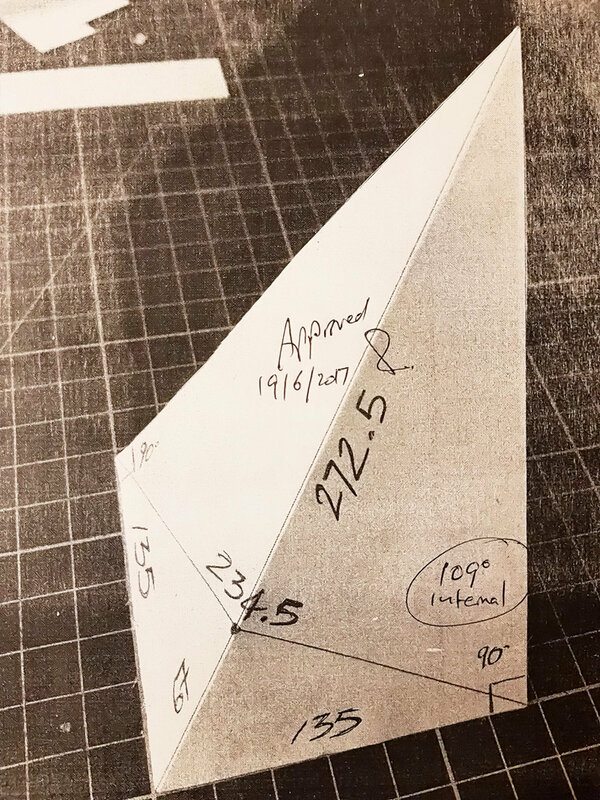 From initial concept and the technical drawing (image 1), a clay model is made (image 2). This is to confirm both the drawing and Tudor’s ability to make as required. 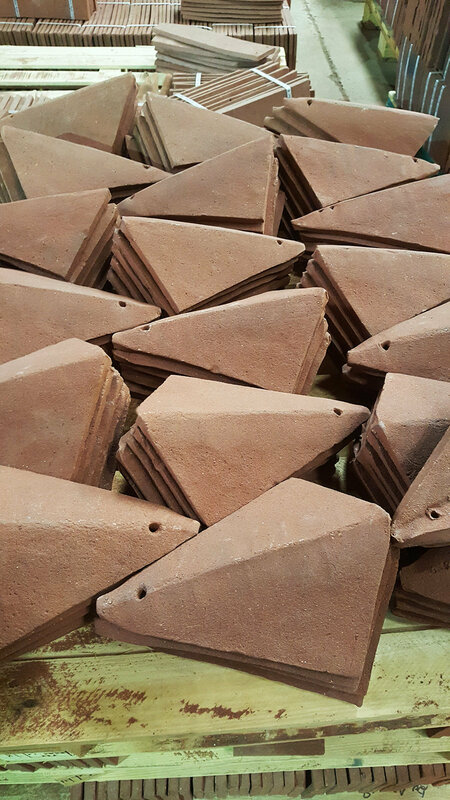 Then our staff make each tile by hand, but approximately 10% larger as this allows for shrinkage that happens during the drying and firing. Each tile is dried for 5 to 6 days until completely dry. Sitting in special trays, which are made specially for each particular bespoke job, keeps the tile in shape until drying is finished (image 3). The tiles then go into the kiln which after firing to 1100 degree centigrade they are inspected by quality control before going out to the customer (image 4). If all is correct, the tiles fit perfectly on the roof and our job is done (image 5). 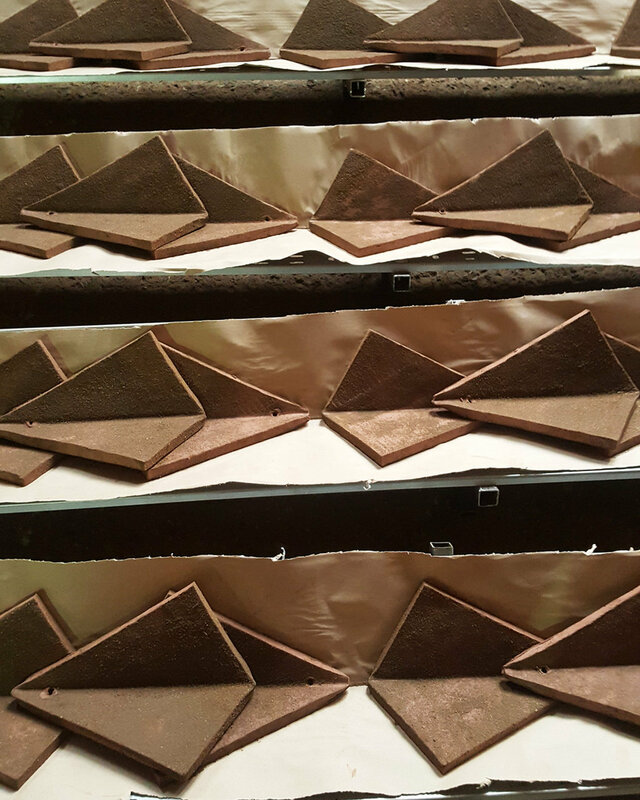 Thank you to Alperen of VizArchi for giving us this short video of John making valley tiles at Tudor roof tiles. Built of flint and stone, the earliest parts of the present building were erected in the late 12th or early 13th century. With such a long history, it was vital that this beautiful church be preserved for future generations. 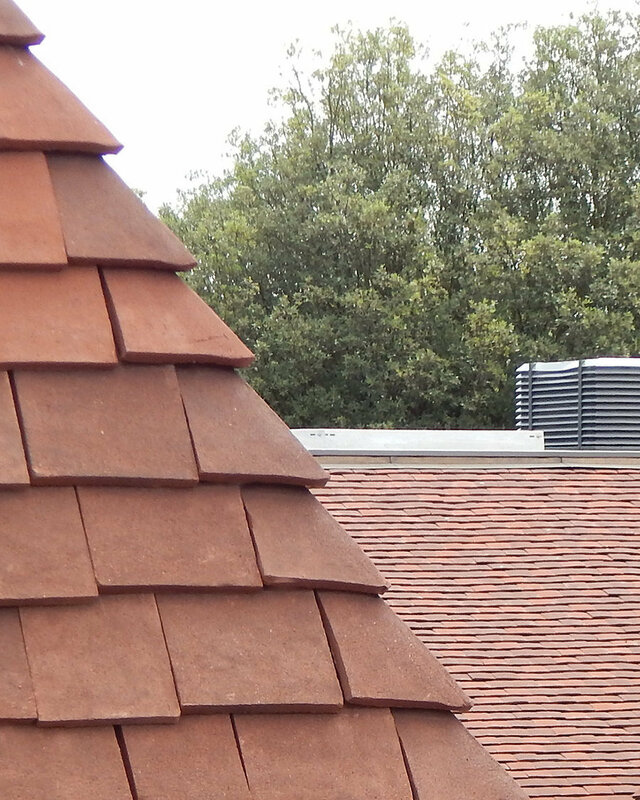 When faced with the latest restoration of the roofing, Tudor Roof Tiles were chosen to cover the roof so as to remain in keeping with the original roof. I expect you will agree that the result was commendable. Another feature is the interesting way to fit the difference in adjacent roof heights. Add individuality with handmade clay roof tiles. Tudor Roof Tiles clay plain roof tiles are not only a practical, highly durable and sustainable form of roofing, but they also offer homeowners a wealth of opportunities to be creative in design. 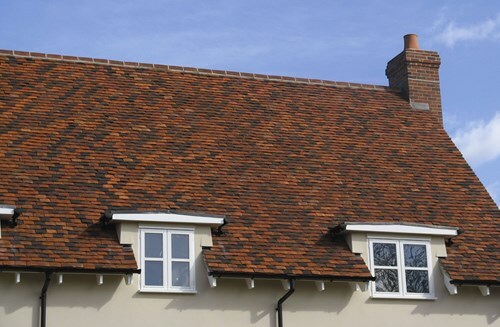 The rich tones and undulations of a roof made from handmade plain or peg tiles are in themselves pleasing to the eye with their gentle camber, subtle variation of colour and texture and their tendency to weather and mature naturally. However, you can make your property even more individual by adding extra detailing through ornamental tiles, such as these ‘double shouldered clubs’. Decorative ornamental tiles like these are particularly effective when laid together in a series of bands alongside handmade plain tiles of a different colour. Alternatively, decorative tiles like the ‘club tiles’ on this cottage can make a delightful feature when hung vertically alongside handmade plain tiles. Once a form of weather protection, vertical tiling is now a popular way to add value, character and individuality to a property. 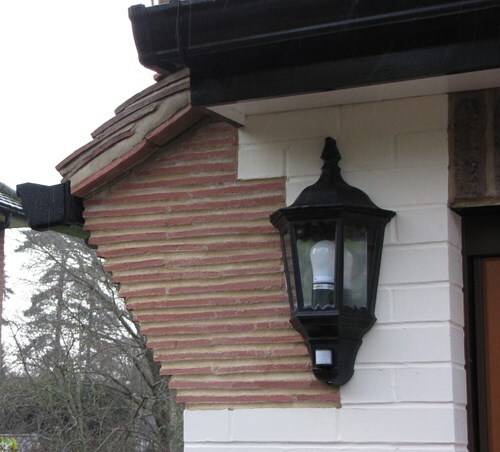 Similarly, creasing tiles are not only a practical means of preventing dampness in walls, but these flat nib-less plain tiles can be used in corbelling, arches, chimneys and as an attractive decorative finish to brick and stonework. 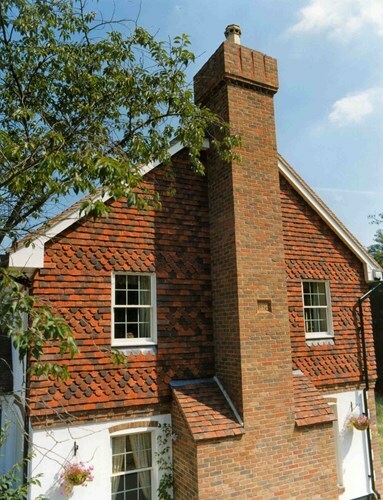 Even creative use of hip and ridge tiles can add aesthetic value rather than being simply a practical necessity. Here the more prominent rounded edge makes an interesting feature, particularly if coloured mortar is used. 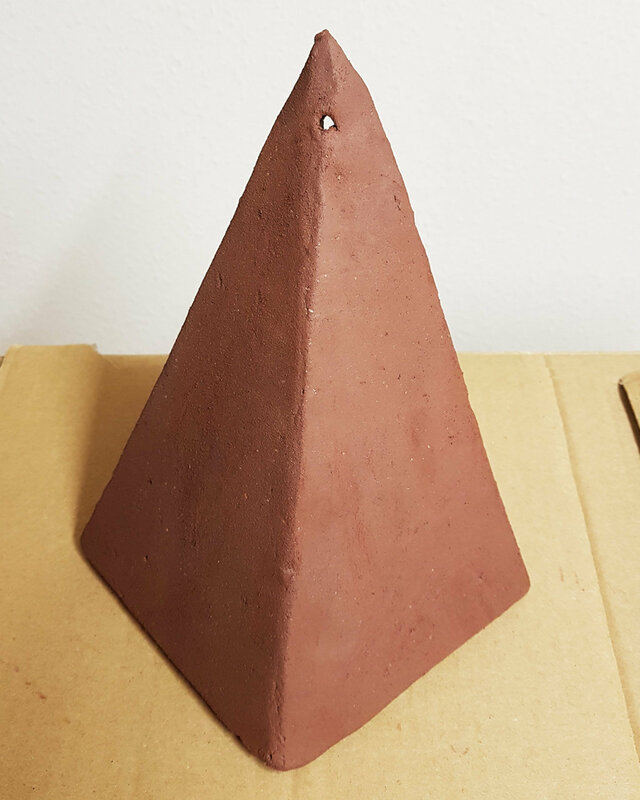 Contact Tudor Roof Tiles for ideas and advice on how you can make handmade plain tiles and their accessories a feature of your building project.